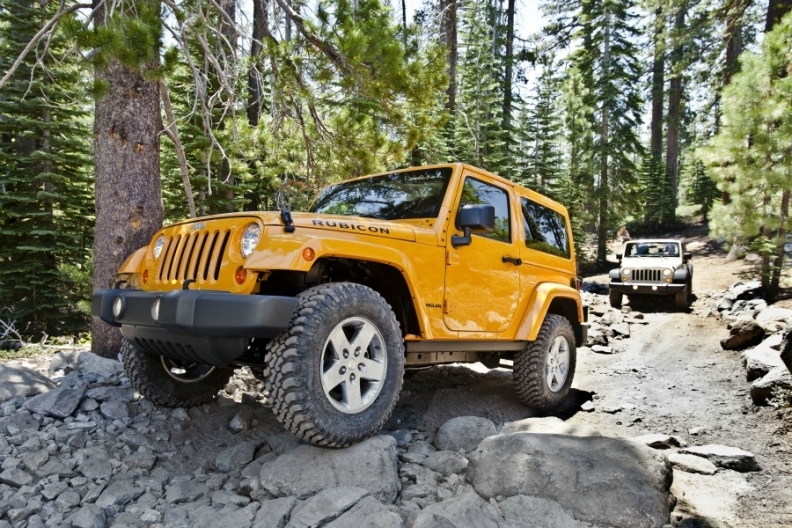 Chinese authorities have warned Jeep Wrangler owners not to drive their vehicles under extreme conditions. BEIJING (Bloomberg) -- Chinese authorities have urged Fiat's Chrysler Group to investigate its Jeep Wrangler, saying the SUV has a "relatively high risk" of catching fire and warned owners not to drive the vehicle under extreme conditions. Owners of the Jeep Wrangler, which is imported from the United States, should check the chassis and engine compartment, and promptly remove any flammable material, the General Administration of Quality Supervision, Inspection and Quarantine said in a statement on its Web site today. The statement asks owners to contact the manufacturer or authorized aftersales outlet and inform the local inspection agency if they encounter any problems. The statement didn't specify how many vehicles were involved. The agency stopped imports of the Jeep Wrangler in April 2011 because inspections found fire risks with the gearbox, according to the statement, which was dated Dec. 31. Imports restarted in 2012 after Chrysler replaced the parts and undertook a series of preventive measures, the agency said. Pernilla Ding, communication director of Fiat-Chrysler in the Asia Pacific region, declined to comment on the quality watchdog's statement when contacted, referring the query to Chrysler's China sales unit. Jiang Qiong, a spokeswoman for the unit, didn't answer two calls placed to her mobile phone. Beijing is taking a harsher stance toward products, both local and imported, that regulators deem as substandard amid a spate of scandals involving everything from tainted milk powder to fake donkey meat. Global automakers including Volkswagen Group, General Motors and Ford Motor recalled a combined 5.3 million vehicles in China in 2013, a 66 percent increase from a year earlier, according to the official Xinhua News Agency. The warning comes as Fiat Group is said to prepare to begin production of Jeep vehicles in China. The automaker is nearing a deal with local partner Guangzhou Automobile Group Co. to revive China production of Jeep after stopping it in 2006, people familiar with the matter said in a report in December. The automaker plans to begin output in China with the Jeep Cherokee, a source said. Local production is key for competing in China because imported cars face a 25 percent tariff.